I have a friend who is a target shooter and a collector of obscure facts about firearms. 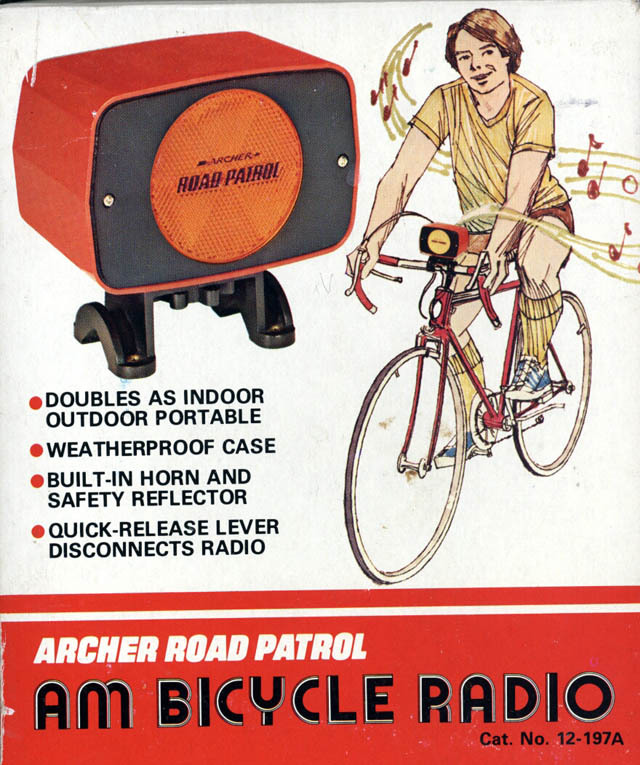 I’ll stick with my Archer handle-bar AM radio. My kids think that my music choices would scare ANYTHING away. Or put it to sleep. I have pretty good luck with dogs. In all my years as a paperboy, photographer and cyclist, I’ve only been nipped a couple of times. 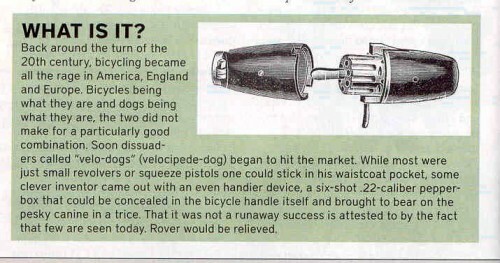 It was always one of those annoying yippy dogs, never a big dog. Bro Mark is a dog magnet who is quick to reach for his water bottle to deter chasers. I’ve found my Delta Airzound Bike Horn will cause most dogs to stop in their tracks. It’s fun to watch a big dog in full tilt run lock his brakes and deploy the drag chute when I hit him with a HONNNKKKK!!! from the AirZound. By the time he figures out it’s not an 18-wheeler, I’m long past his chase zone.